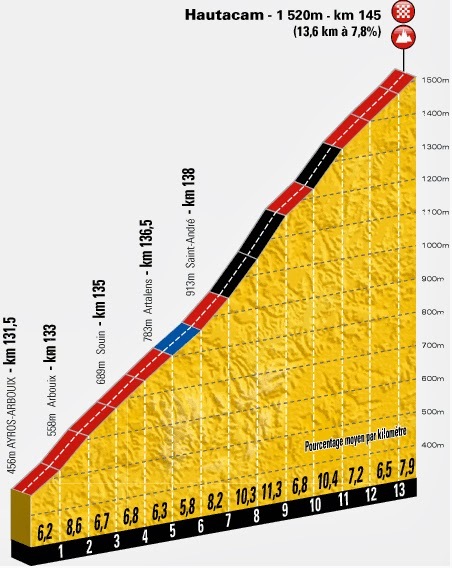 I woke up this morning thinking about what will be the last major climb of the 2014 Tour de France. The Hautacam is a 13.6 km climb (or 14.5 depending on your starting location) that many people would have a tough time placing on a map. 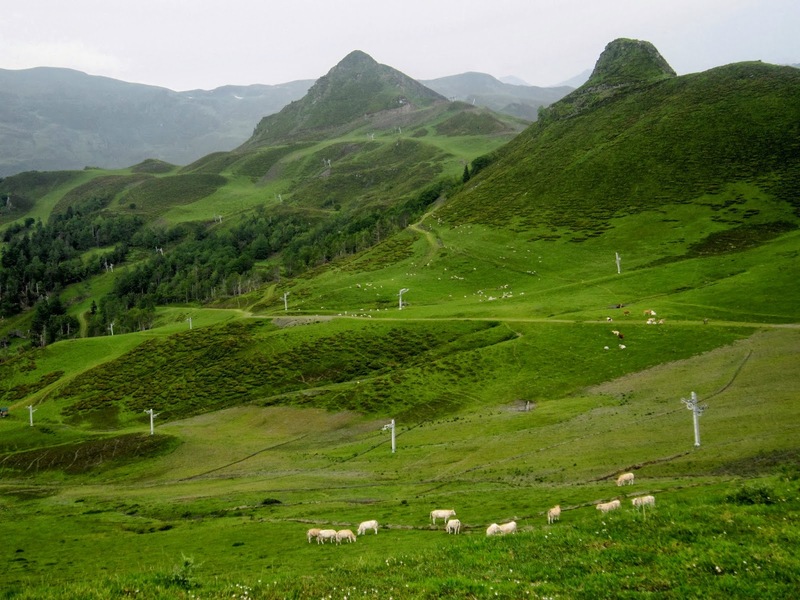 That is because the climb to Hautacam is not on a mountain peak or a pass, the climb instead leads to a local ski resort in the Lavendan Valley of the Pyrenees. The Hautacam is located down-valley from the grand majestic Col du Tourmalet, and up-valley from the oddly religious city of Lourdes. But just because the Hautacam wraps itself across a plush green hillside don't discount the impact this climb will have in the outcome of this year's race. The Hautacam is one of my favorite climbs. Perhaps not as epic as other climbs in the area, but for an open road bike rider it is just right. 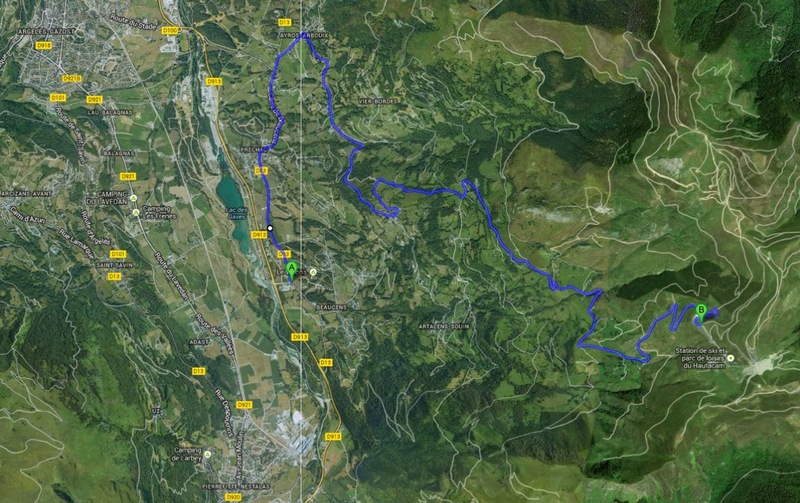 The grade changes as you climb, and that means a refreshing almost inspiring change of gears. Don't let those 8% signs fool you, the signs seem to announce 8% every time you spot one, even when your legs are telling you they must be under-averaging. Actually the official average places the total climb at 7.8% (some say 7.5%), but that doesn't mean you wont feel those 13-15% sections. You'll begin to wonder why they even bothered posting yet another tormenting 8% sign because the gradient is not the full story of this climb. The real joy is to be found in the numerous turns and twists as you rise higher and higher up the hillside. You'll get a real sense that you are climbing as you watch the lovely valley recede below. It does not matter that the climb to Hautacam basically leads nowhere (to a ski parking lot), because the smile on your face and the aticipation of the excellent descent will tell you the climb was well worth it. But I think it best to look at it this way - the Hautacam wraps up that hillside. 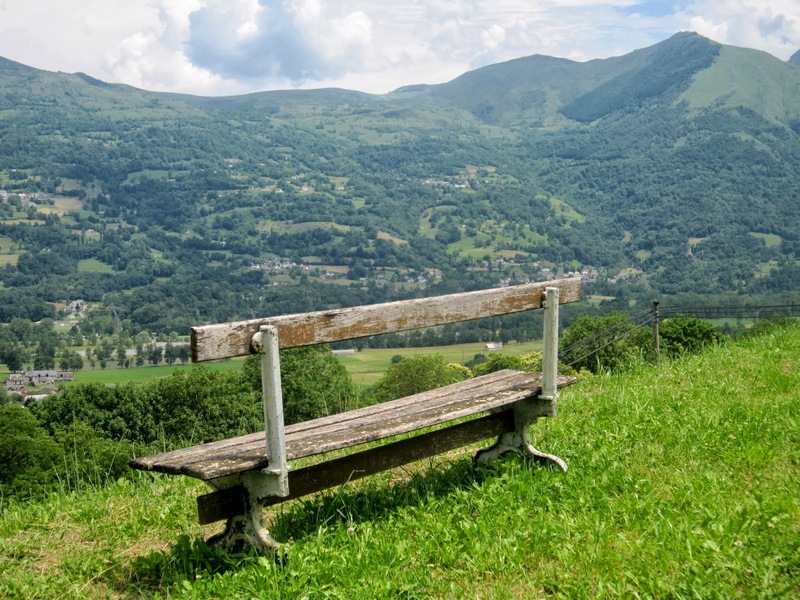 This is the view from the Hautacam across the Lavendan Valley, quintessential Pyrenees, and your reward for climbing the Hautacam (on a nice day). 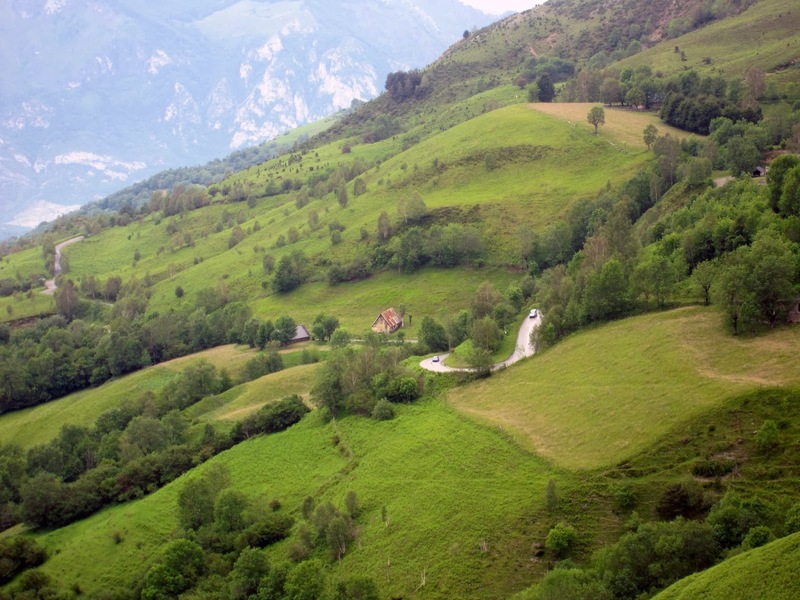 During this year's Tour de France, the peloton will not get to enjoy the scenery of this very nice climb, fans will line every bend of the road screaming and yelling at them to go, go. 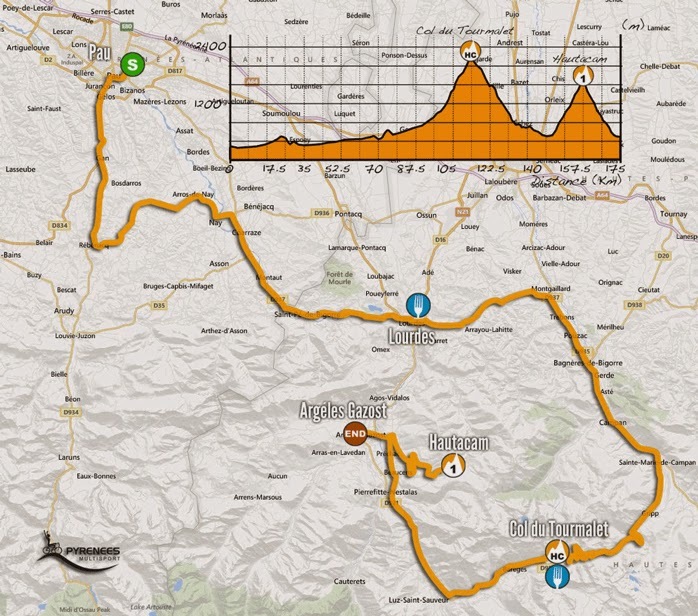 The riders will however feel the clever attacks as the road varies in steepness to the finish line. The Hautacam is well-deserving of being called hard. The Hautacam is a pleasant low-traffic climb on any day other than Tour day. On this year's Tour day, it should be an active ride or walk up and a fine place to spend hours sitting on a hillside waiting for the arrival of the best climbers in the world (as long as the weather is good because it can get very cold on this hillside). The Hautacam might not appear as epic as the Col du Tourmalet, but you have to ride the Hautacam to truly know it. I once had a nice stay at a cycling lodge just across the valley. I woke up to a view of the Hautacam every morning. No I wasn't still dreaming, it was real. (La Lanterne Rouge, Saint-Savin, France). If you are in the area also climb the Col du Tourmalet, Col d'Aubique, Col du Soulor, Cirque du Litor, Col de Spandelles, and Luz Ardiden. 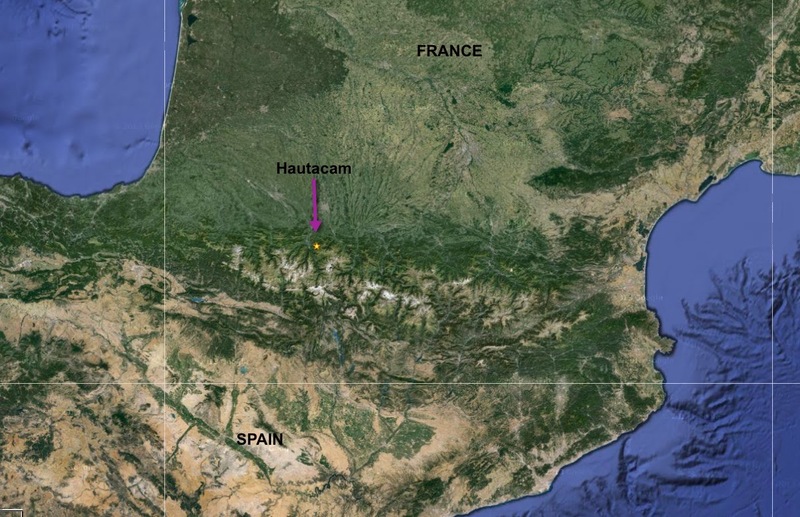 For more information on the Hautacam, the best description is by Velopeloton. 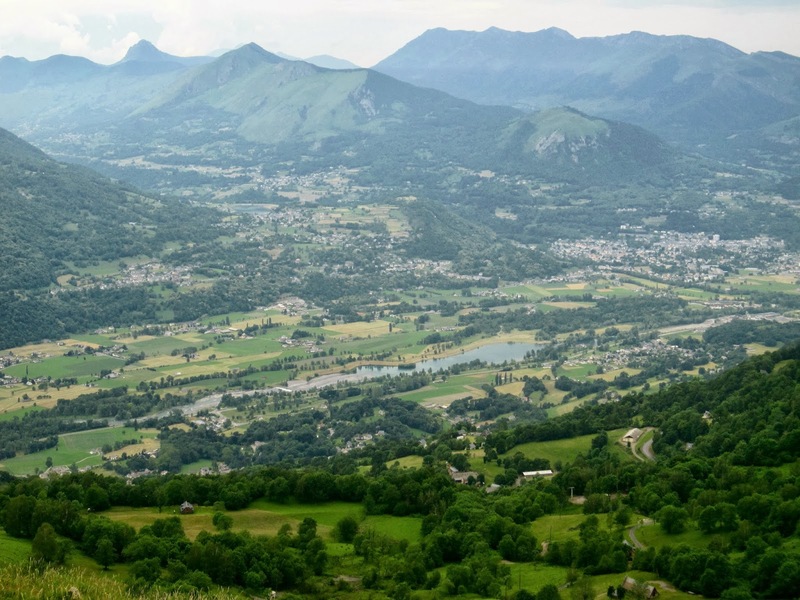 I imagine Paddy, the author, will be watching a number of the pros train on this climb in spring/summer, he can see the Hautacam from his home in Saint-Savin, lucky guy.